We avoid MSG in food, and believe in MSG allergy, because of our experience and widespread anecdotal support of its harmful effects; though unsupported by the scientific community. One major reason my husband and I eat a natural diet is that he suffers from chronic migraines. Because of his migraines, we have to avoid a lot of ingredients. For example, we never consume artificial sugar. His body is extremely sensitive to it, and aspartame has given him some of the worst migraines he’s experienced. But there’s another ingredient that we’ve learned to avoid over the past several years, one that affects his migraines almost as much as aspartame – MSG. MSG is an acronym for monosodium glutamate, a food additive and flavor enhancer that is far more prevalent in your food than you probably think. I need to point out that there are a lot of people, including many members of the scientific establishment, who don’t consider MSG harmful. I’ve been researching this topic for years, and usually, on medical websites, there is language that reports “no scientific evidence” for MSG allergy. While that may be true, there is widespread anecdotal support of harmful side-effects for some people. I know from my years of less-than-healthful eating that I don’t have an MSG allergy because I have never experienced a headache or stomachache from it. Still, I have watched my husband suffer from a migraine for days after accidentally ingesting MSG. I have no doubt that he suffers from a sensitivity to it, and for that reason, we all avoid it. I feel better knowing that there is no MSG in my diet, and my husband has fewer migraines now that we know how to avoid it. 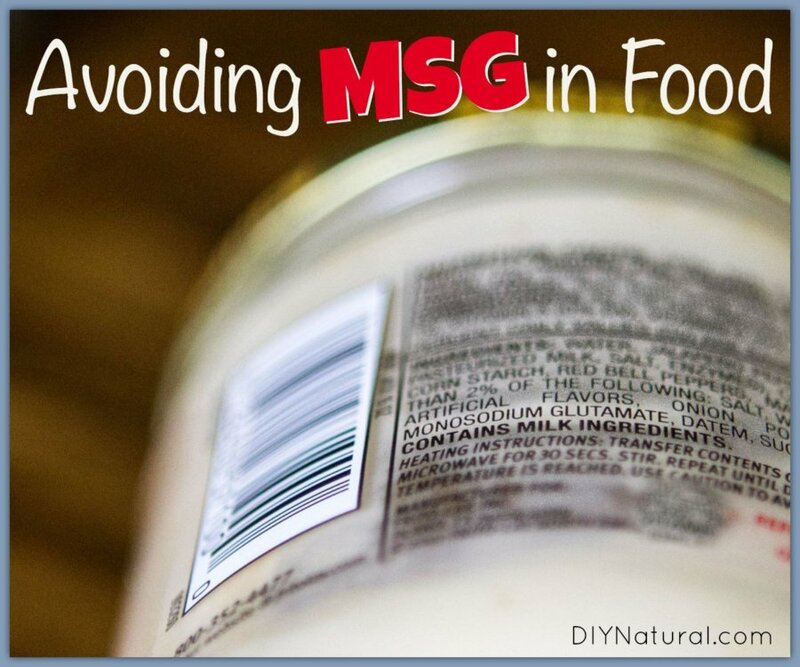 Avoiding MSG is more difficult than it might sound. Sure, it’s easy to just stop eating at Asian buffet restaurants. And that’s a good first step. But if you suspect that you or someone you love has an allergic reaction to MSG, or you want to avoid it for other reasons (and there are plenty of good reasons), then you need to be aware that MSG can be sneaking into your diet from a variety of unexpected sources. Once your MSG allergy helps you decide to avoid it completely, your grocery store trips will begin to change. There are certain foods that won’t be options for you anymore. You might have given up many of the items on this list anyway, but if you haven’t, it’s probably time to quit buying them. bouillon cubes (chicken or beef). salad dressings (You could be making your own, anyway). The above list includes the most common ingredients that contain MSG, but there are many, many more. The list is long and daunting, so it can be helpful at first to memorize just the most common ones to avoid at the store. If you’re interested in the full list, check out this article on Fooducate. We’ve already discussed Asian buffet restaurants; you were probably already aware that many of them used MSG, anyway. You may not have known, however, that most other buffet style restaurants use MSG or similar preservatives. Most chain-style, large buffet, family-friendly restaurants use MSG, too. If you suspect you have an MSG allergy, make sure you pay attention to how you feel next time you visit a large buffet. If you have a migraine or nausea within a few hours of leaving, you’ll know that you should probably find a different restaurant next time. Once you realize that MSG is so commonly used at restaurants, you’ll have to put a lot more thought into what you order. That’s probably a good thing, though – there are lots of good restaurants that serve fresh, whole foods. It’s great to support them, especially when you can feel safe eating their food. Good things can happen when you start to live a lifestyle with limited MSG consumption. You might notice fewer migraines, fewer stomach upsets, and a healthier existence overall. One great thing about avoiding MSG is that you will naturally make healthier food choices. Heavily processed and flavored foods won’t be options for you anymore – and that means you’ll have more money and cabinet space left over for healthy, nutritious whole foods. Do you have an MSG allergy? What are your best tips for avoiding it? I do my best to avoid ever taking anything in pill form that doesn’t absolutely gave to be delivered that way. That being said, as a migraine sufferer, I found that taking a magnesium supplement daily has all but eliminated my migraines. I went from 6 per month (even after cleaning up my diet) to one in the past year. I stumbled upon this accidentally but there is recent research supporting the use of magnesium to reduce the frequency of migraines. I have a very severe reaction to MSG. For years I had the migraines from it then I was at a New Years Eve party and ate a dip that had a full bottle of MSG in it. Needless to say, I was in the hospital ICU for 3 days because my body had an overdose of MSG and went into seizures. The Neurologist ran ever drug tox screen on me and then some!!! All were negative. They finally ask my boyfriend what I ate and he told them the dip with a crap load of MSG in it. The neurologist said that she is seeing more & more people with this reaction. I personally know 2 other people with the same reaction. Be very leery of french fries also, some restaurants put MSG in with their salt to freshen french fries. This was my second trip to the hospital after ingesting the french fries at Dairy Queen. When asked, they admitted doing so. Thk u for the useful information, pls can someone without migraine history can still be taking those food you mention if made by oneself, you mentioned chicken n meat broth, celery etc, pls I want to know if naturally they contain MSG or if the ones we buy at store are d ones that has MSG bcos my daughter has migraine often time. Pls I need ur advice. Thk u.
I make most of these things myself. The only thing I have been unable to duplicate is Soy Sauce. It has a naturally occurring MSG in it. That doesn’t bother some people. But, I make my own broths. For chicken broth, there is one (Swanson, I think) that is MSG Free. I have had no problem using that either. 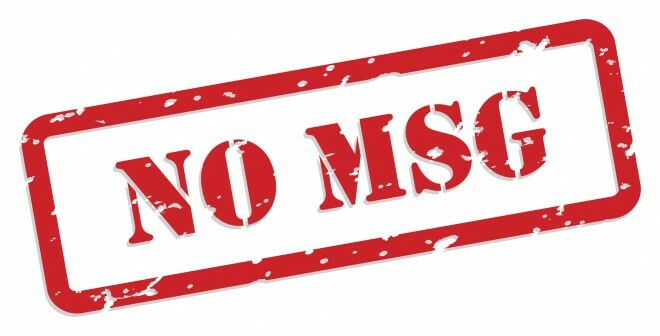 Be aware, “No added MSG” is not the same as “MSG Free.” You need the one that is MSG Free. I have not located a ranch dressing without MSG though suppose you could make yourself. I have taken to just using a little balsamic vinegar as dressing. Most dressings are too likely to have MSG. If you are near a Trader Joe’s, they have a French Onion soup mix that has no MSG and a Taco Seasoning that has no MSG. For recipes that call for a can of “cream of anything” soup, you have to either find a way to make those yourself or toss the recipe out. I can’t find a premade one that is MSG free at all. When my husband and I started with a new internist dr in 1999, I put down on my health history, that I get migraines. When I was questioned by the dr., about my symptoms, I said “they always last 3 days.” He didn’t think I had migraines … he thought I had cluster or tension headaches. But I insisted they were migraines, and they lasted 3 days because they were ALWAYS food-triggered, and it took that long for the offending food to get out of my body. But they were BRUTAL for 3 days … “screw-driver going through my temple” feeling. One day I decided to leave work early, because I felt so terrible. On my way home, I drove by the dr.’s office to let him see me in the middle of my headache. The nurse got me in quickly (I looked bad), and after 3 questions in the exam room, my dr. apologized and admitted that I DID have migraines. It’s taken me years to confirm and eliminate the offending foods from my diet, mostly by trial and error, with help from migraine trigger lists. I cannot eat any aged cheeses, cream cheese, red wine, broths, and anything with “meat tenderizer” in it … so I avoid gravies, stews, etc. when eating out. I limit the amt of nuts (or cinnamon) I eat in a short period of time, and I absolutely do NOT eat anything with aspartame in it. My internist told me 15 years ago, that aspartame kills brain cells … it was in the research studies he was doing way back then. Interestingly … I don’t ever have trouble with Chinese food … so I must not have an msg intolerance. Can I just point out that MSG is naturally occurring? It is found in seaweed and is a by-product of some fermentation processes. Its very chemical-sounding name may have added to its bad reputation. Sure, some people may be sensitive to it the way others are allergic to peanuts. But to put a blanket ban on it seems a little excessive. I am severely allergic/intolerant to the additive MSG and I am aware of this. Something I would like to ask is, are you aware that the MSG additive is different from the naturally occurring MSG? I can’t site anything to back this up unfortunately, but I had an allergist inform me of this when I tried to get tested for an MSG allergy. He told me that the tests that he would provide don’t usually turn up much for those who have reactions to Chinese food (he used this as an example because it is the most common one he sees). I don’t know how different they are, I just know that the additive is a processed item and it’s what messes me up. I eat foods that are naturally high in natural MSG easily (things like grapes and tomatoes), but if I touch anything with the additive it’s end of story. I was actually really careful to target this article to people who are already interested in eliminating MSG from their diets. I even said that I don’t personally have a sensitivity to it. I agree that there are a lot of overly-inflammatory articles online about the dangers of MSG, and I was really trying to provide a balanced viewpoint. I’m sorry if it didn’t come across that way. Your article was outstanding and very helpful…..thanks so much! For all those that suffer from reactions to MSG and other substances, I can say from personal experience that there is a way to stop the reactions. Tapas Fleming created TAT (Tapas Acupressure Technique) at tatlife.com and the short manual is free. This is a self applied technique that only takes a few minutes to do, but will stop a reaction in its tracts. 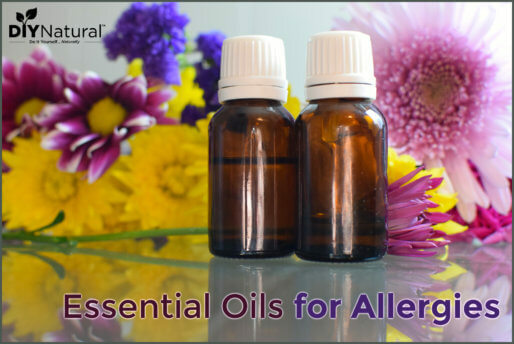 It was originally designed for allergic reactions but is now to being use for a wide variety of ailments, illnessness, traumas, etc. I have used it for reactions to MSG, seasonal allergic reactions, food reactions, and much much more. It is highly effective, easy to learn and do and can be done right on the spot. Glad to hear that this works for you. I am incredibly allergic/intolerant to MSG and have yet to find ANYTHING that stops my symptoms and I have been to a (I believe holistic is the right term) doctor who showed me this method and it does absolutely nothing for me. I get a severe migraine that causes neurological issues rather quickly once I ingest it and while I don’t go to the doctor I have been multiple times for this ( a couple were because I was around people that didn’t know what to do for me and I couldn’t communicate quick enough what the needed to do and they took me to the ER, which makes things worse actually). What sort of symptoms do you get? I,too, have many foods that trigger migraines. The one that was really difficult to figure out and to avoid is tannin. 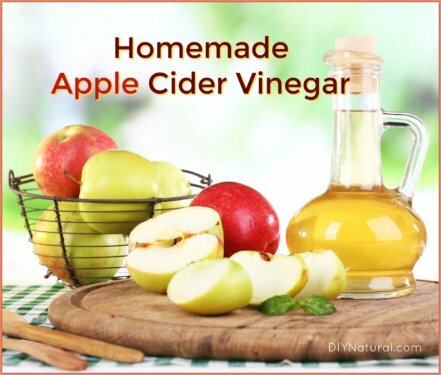 Many people are aware that red wine and black tea cause headaches, but few people are aware that tannin is also in apple juice and many other juices and plant-based foods. My daughter is extremely sensitive to both tannin and another very hidden additive, sulphites. If you suffer migraines, it is worth the detective work and the altered diets to avoid them. Thanks for helping others to get started on their search for food migraine triggers. This title with the words MSG and Migraine caught my attention. Now I know this may sound weird, and maybe you can confirm this, but I can smell MSG in my urine. It took me a long time to figure out and narrow down, but I’ve nailed it to MSG. Just the other day we went out to eat and later I smelled it in my urine. Since that meal I’ve had a severe migraine for 2 days!!! I never put the migraine with MSG (although I usually try to avoid it, this caught me off guard). I also use Xyla as a sugar substitute. Does this contain naughty things? I did the entire food transformation over a year ago when I was suffering sever gut issues. But I’ve been known to indulge in a BBQ flavored chip from time to time. We enjoy a glass of red wine and some good quality (Trader Joes Tuscan) cheese on occasion and I’d hate to think those are all triggers for my migraines. I’m so grateful for this information and thank you for sharing your expertise with all of us. I’m glad to pass the information along! 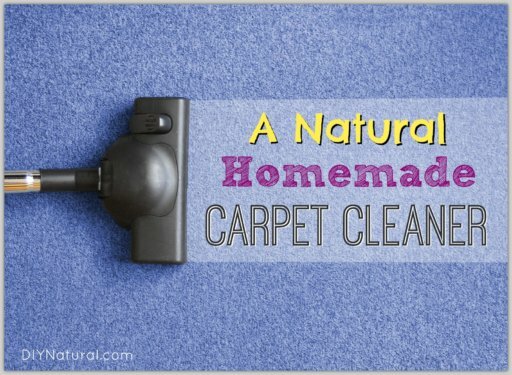 It has helped my husband so much and I hope it can help others. Thank you, Emry and I’m learning even more from the other comments!! Definitely no more chips “for crunch”. There are plenty of healthier alternatives and it’s NOT worth the pain of a migraine!! I AM organic where it counts and I have 3 gardens currently growing for our food and I make all my own soaps and cleaning supplies (thanks Matt and Betsy for encouraging and helping me get here!!) Not to mention I’m only taking one medication, which is Fiorinol for my migraines; the ONLY thing that works for me. I’ve got Hemochromatosis and my doctor agrees with this medication because it doesn’t (adversely) affect my liver like ibuprofen would. This has been such an enlightening article and it’s caused me to look deeper into the triggers of my migraines. I suppose that occasional glass of red wine should be eliminated due to tannins and sulfites AND iron! Joyce Vincent, are tannins called ‘Tannins’ on the labels or are they disguised as another name? Thank you so much for mentioning this! Thank you EVERYONE who’s posted wisdom and truth here. I’m grateful for the knowledge! The USDA allows MSG to be labeled as “Natural Flavoring.” I avoid any savory or salty food with “Natural flavoring” in the ingredient list. Means that I cook A LOT. MSG is not very common in sweet foods, so I don’t usually avoid sweet foods with “Natural Flavoring” on the ingredient list. But, I avoid it in most things. When eating out, I avoid anything with a gravy, dressing, breading, seasoning… Can be bland, but better than a migraine. At Asian restaurants, I will order steamed veggies with steamed shrimp or chicken. I will ask for “no sauce.” If it needs a little dressing up, I will add a little sweet and sour sauce. But, typically I eat it with just a bit of salt. I sure miss Sesame chicken, but don’t miss the migraines! Ladies, don’t buy frozen dinners, chips, broths, etc. I know that they make our life easier (less cooking at home), but just stop being lazy for the sake of your own health and health of your family. I work full time (not from home) and have 3 sons + husband (4 men at home!). I do have to cook the dinner every single night, as well as make sure that my sons have lunch at home when they come back from school (it is either leftover from the yesterday’s dinner, or I make something separate for their lunch and put it in the fridge). It is hard, I know, but when you get used to this routine, it does not feel that bad. I never ever buy frozen dinners, broths, and such other staff. I do everything from scratch – and I know my efforts will be paid for later. And when you 99% of the time eat purely home made healthy food, some occasional cracker of flavoured nuts will not do too much harm (compared to when they are consumes on a regular bases). This is what I always say to women: don’t be lazy, cook for your family! Everything that is sold pre-cooked can be easily done at home! I agree with a lot of what you’ve said, but I will argue that now that my husband eats very little MSG, he his much more sensitive to it. I can’t back that up scientifically, but I know that he is much more prone to getting sick from MSG now that he avoids it. My husband cannot eat MSG. He has a Jekyll/Hyde reaction. His blood pressure rises, and he gets anxious, irritated, and mean. It is added to almost everything! I have read that, unless you buy organic, it is even added to coffee, milk, and flour. I recently discovered that, to my horror, it is even used in OTC medicines, as well as some prescription drugs, as binding agents and/or fillers. So, if you are in the hospital, and have problems with MSG, it’s very difficult to get well when it’s in the meds as well as the meals they serve! Thank you for this article! I too am allergic to this and stay away from it. Please write about maltodextrin as well. I break out in hives if I ingest anything that has it, including lotions for the skin! It is in so many things from cheap vitamins to packaged foods to certain lotions. It was hard to determine that this is what caused the hives but once I did and live free from this additive life is much better and healthier! Many countries do not allow it in their foods. Can MSG sensitivity cause eczema? You are so right! MSG will irritate the skin and it reacts so fast too. That also includes dermatitis, any kind of skin allergy…..thanks again Emry…..so helpful! I thought I was alone! I migrainally (my word) respond to the entire list of triggers, but I have not read of other people who have a sensitivity to artificial sugars. In fact, I wondered why I got a migraine every day after brushing my teeth. It turns out that the fluoride mouthwash the dentist prescribed contains saccharinas well as FD&C Yellow. It’s insidious. We avoid msg by being rawgetarians. We only eat organically grown or local and we don’t eat cooked foods. So we avoid all the drama of poorly processed and dangerously processed ‘food’. If it isn’t whole, it isn’t food. When we do go out for celebrations or social obligations, we always order Mediterranean cuisine because it usually contains plenty of raw veggies and fruits, while they often prepare their sauces authentically. I love your point to support the eateries that are doing things the right way! The costs of real food will decrease as we educate ourselves and only buy real foods. Thanks for your post! I emailed the msg list to all my friends and family! Many years ago, maybe 1985, we went out to eat with the family at our favorite Chinese Restaurant. We’ve eaten there many times before but this time the kids insisted that I taste the sweet & sour chicken. I didn’t want to and should have listened to my instincts, but I indulged in a small piece. To my surprise, while chewing the small piece my throat started to feel like it was closing. I spit it out and tried to drink water to wash it away but it wouldn’t go down. I started to panic. I wiped out my mouth with water/napkin best I could. That was it. we left our dinner, my husband practically carried me out to the car. I layed on the couch and bed for the next two days with a headache, feeling nauseaus, and generally awful. I called the doctor of course and he said it was probably MSG. I’m very careful with reading lables and avoid stuff with MSG. Never ate Chinese food again. Reading your write up about how they disguise MSG I’ll have to be even more careful now. It never happened again, thank goodness. Wow, that is a strong reaction! I’m glad you’ve only had to experience that once–thanks for sharing! Hi Emry! Thank you for this info. Would you tell me what other foods are migraine triggers for your husband? I’ve just recently been associating my migraines with certain foods and I’d love some feedback from another migraine sufferer! Thanks! Hi, Alena! There are some really great comprehensive lists online for migraine triggers, so it’s worth looking into, but a few other foods that my husband has to be careful with or avoid completely are bananas, peanut butter, food that contains Yellow 5, and ANY kind of artificial sugar. I know that for some people cheese, alcohol, and chocolate can also be triggers. Do they put MSG in packaged meat at the grocery store? Not to my knowledge. If you buy something like packaged tender loin that comes pre-marinated or pre-seasoned, though, it’s definitely possible. I am severely intolerant/allergic (the terminology depends on who you ask about symptoms) to MSG, and I would like to add that any meats that are labeled as “tenderized”, “extra tender”, “extra flavorful”, etc can contain MSG. I will also add (in my experience) that it can be labeled as containing “natural flavors” has MSG in it. I don’t eat “commercial” meats anymore because of this. We get all our meats locally that are organic, no antibiotics, and all that stuff free. I understand that all those packaged salads at places like Walmart use msg to keep them fresh. Keeps them fresh from processing to your table which can take a couple of three weeks.